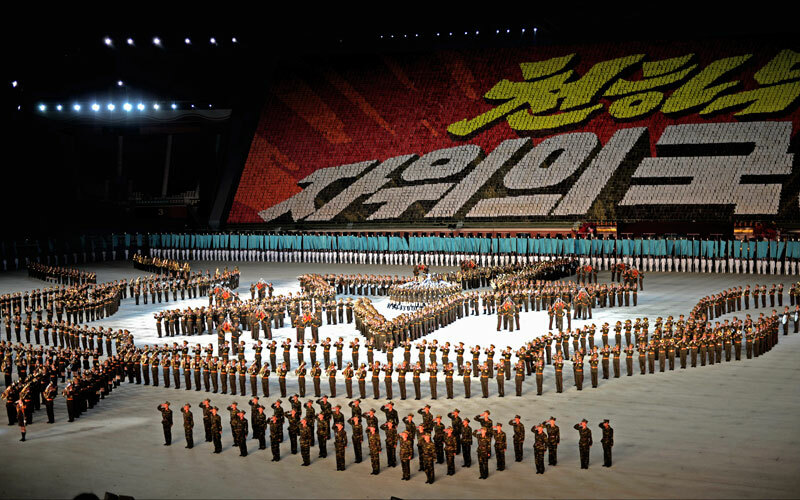 The Mass Games make a triumphant return with “Glorious Fatherland”! 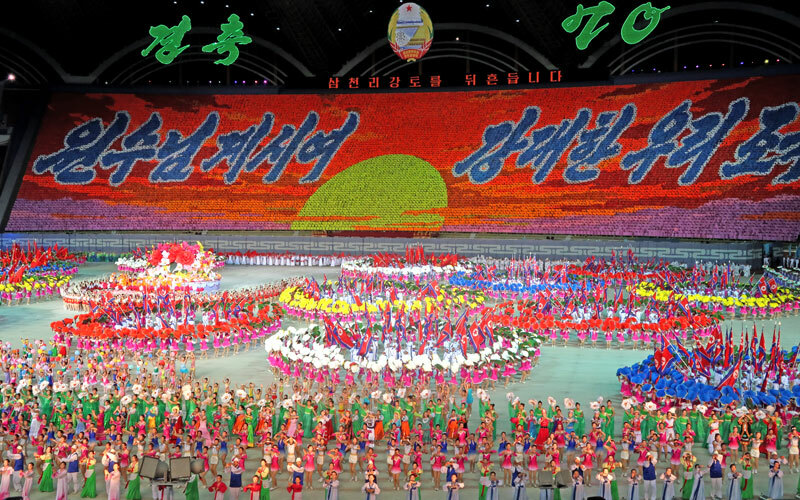 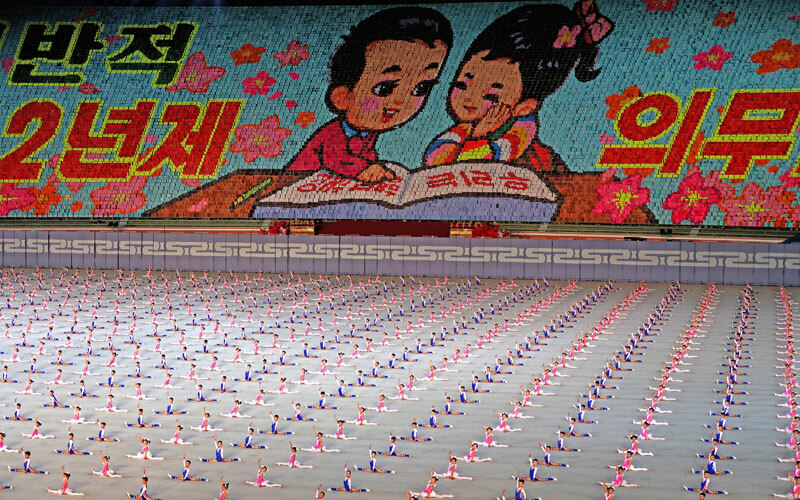 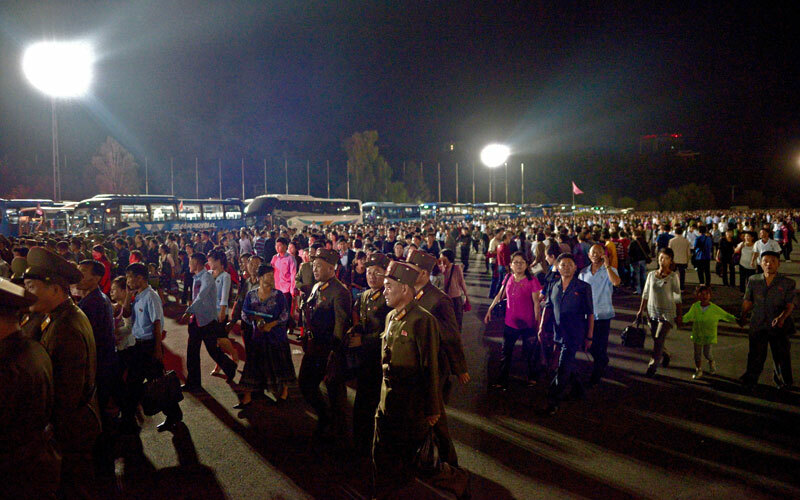 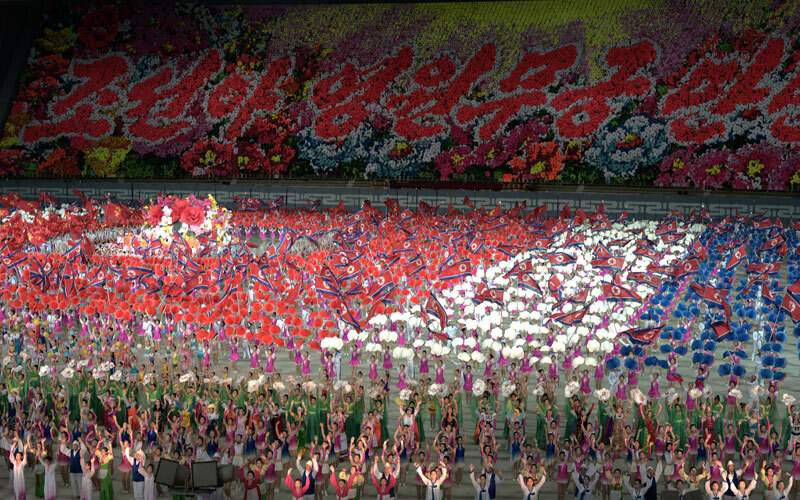 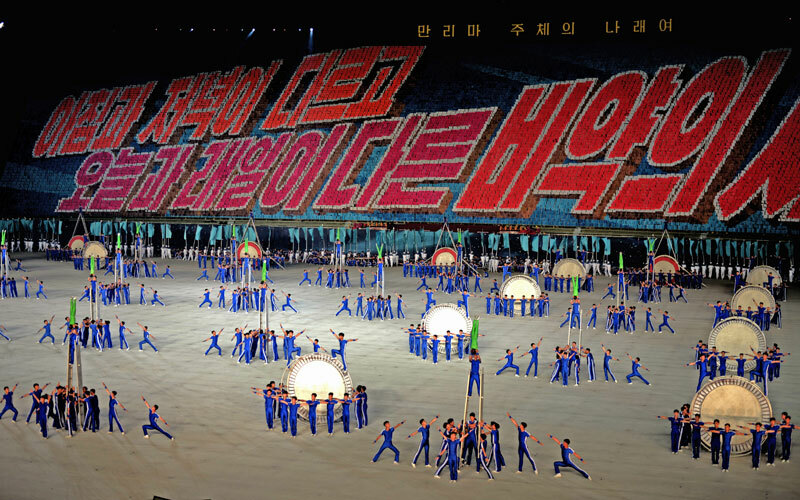 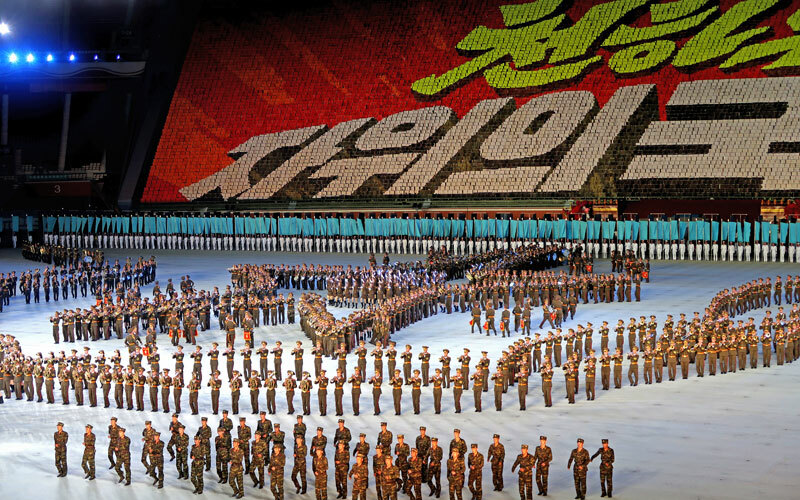 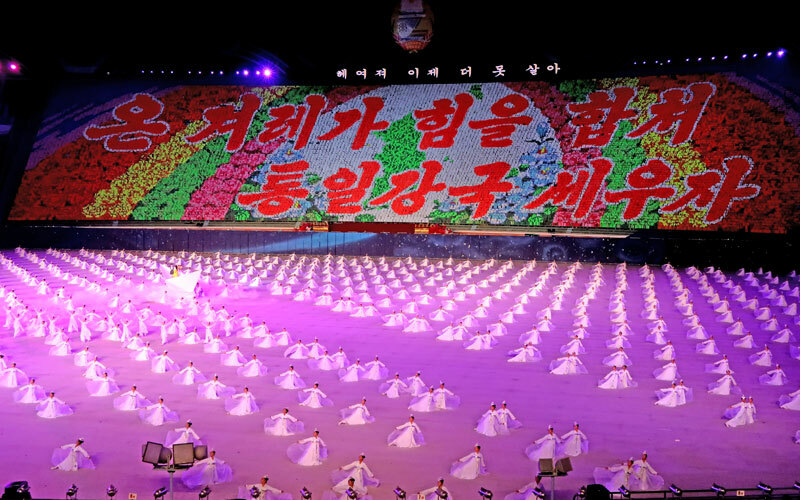 It’s no news that North Korea’s iconic and world famous Mass Games is back in Pyongyang after a five-year hiatus. 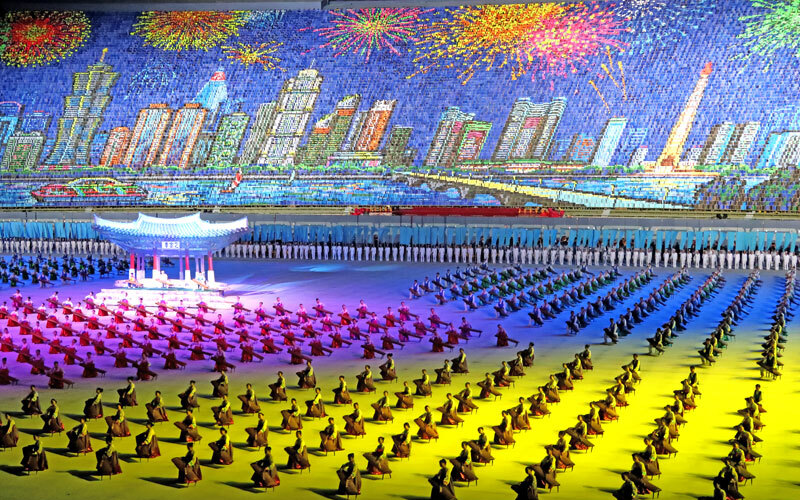 Formally titled “Arirang,” the new show goes by the name “The Glorious Country,” and showcases over 200,000 performers while incorporating massive light shows and fireworks, a full orchestra and choir and of course the iconic and mind-boggling “human animation” backdrop. 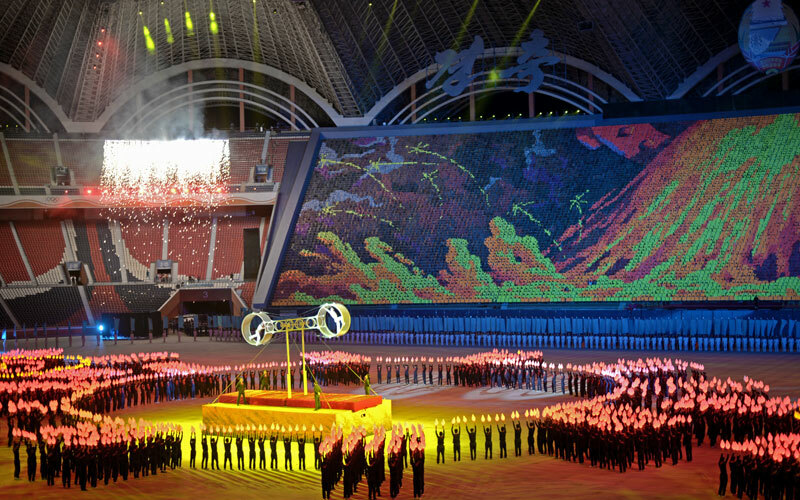 The new show additionally incorporates the use of drones and giant projections beamed into the centre of May Day Stadium – the largest stadium in the world with a capacity for 150,000 people. 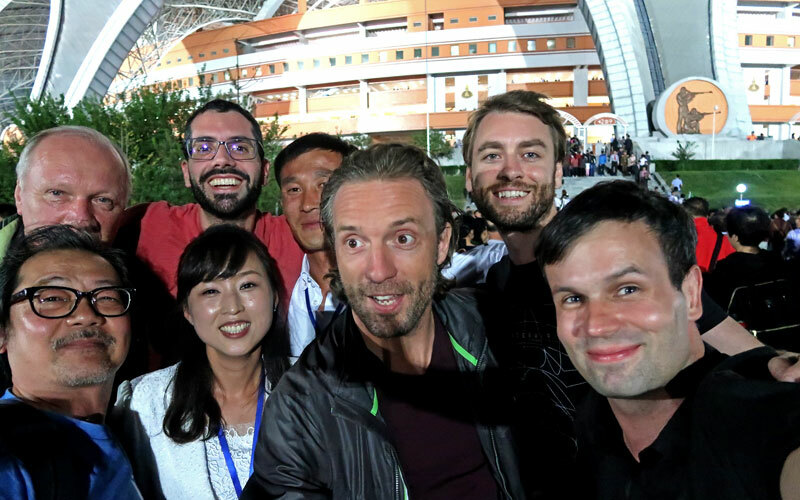 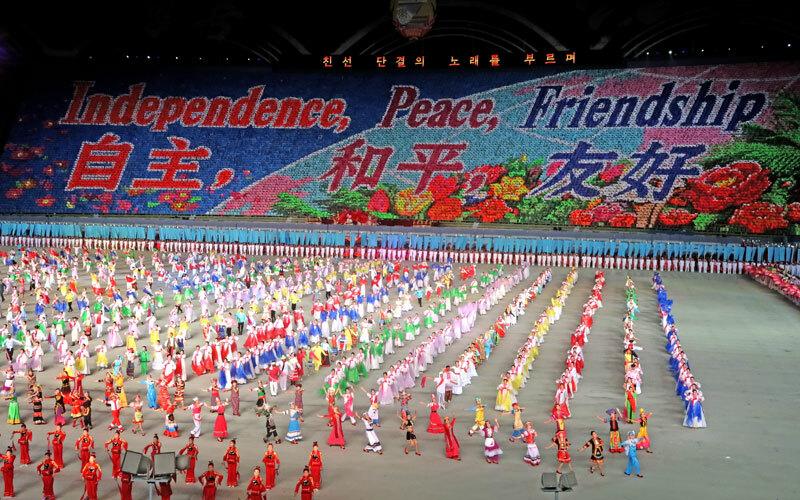 Truly a show that must be seen to be believed, “the Glorious Country” made its return to Pyongyang for 2018’s 70th National Day celebrations, which Young Pioneer Tours was lucky enough to attend this year. 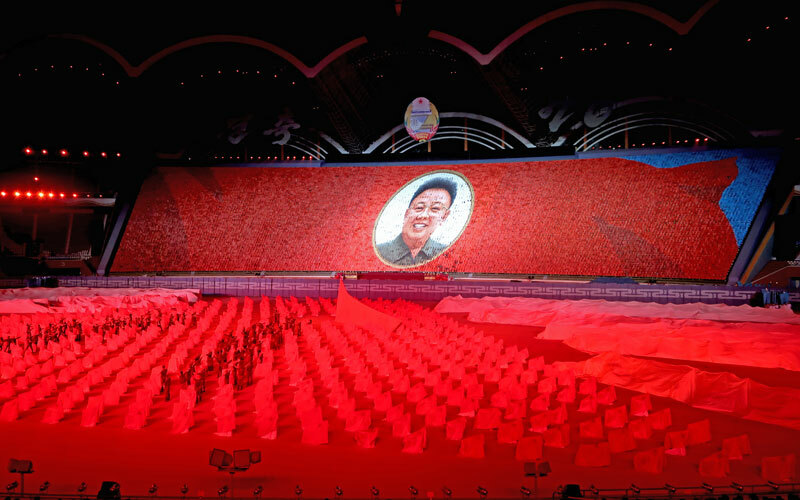 Also in attendance and much to everyone’s surprise and absolute excitement was none other than Marshal Kim Jong-Un himself. 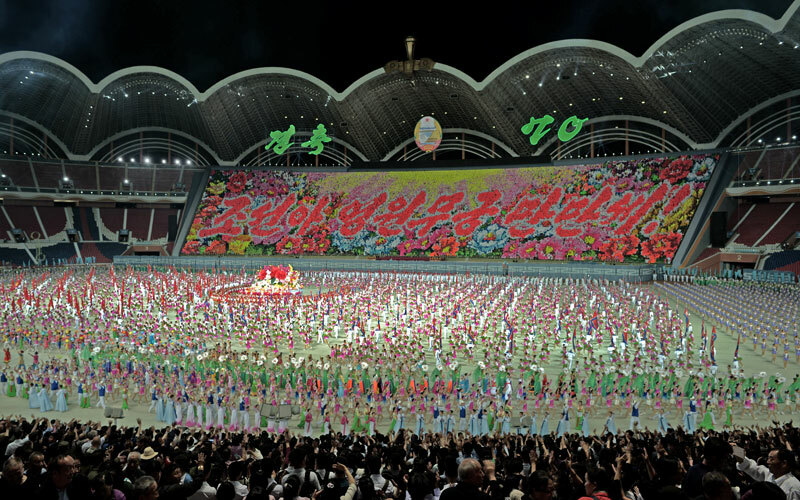 An extremely rare occurrence and the first time any tourists had been in the vicinity of any North Korean leader since Kim Il-Sung and Kim Jong-Il during the opening ceremony of the 1989 Youth Games. 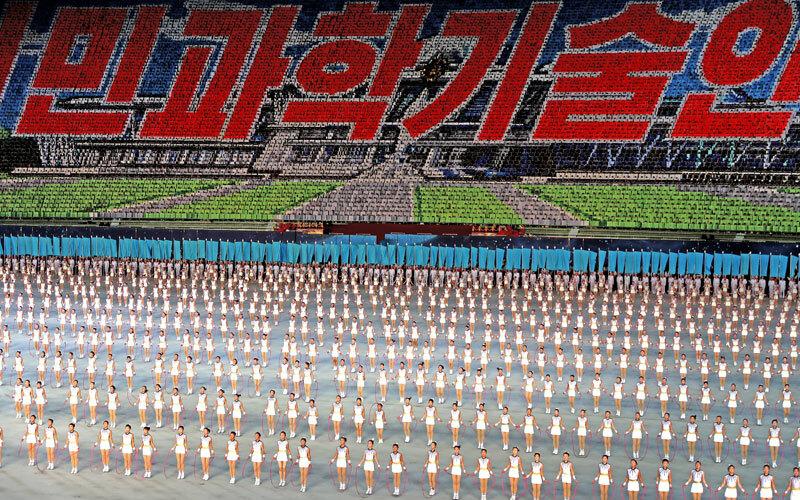 With extremely tight security, no cameras were permitted inside the stadium while the Marshal was in attendance. 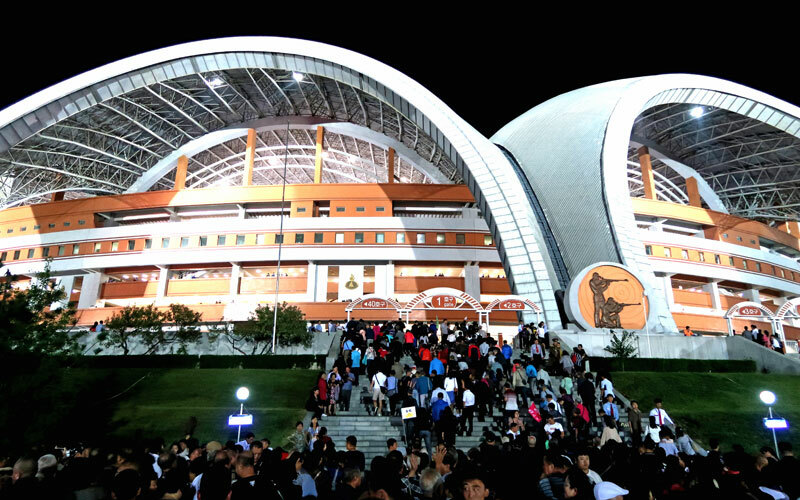 However, with the Mass Games taking place for one month until closing night on Party Foundation Day on October 10th, there have been plenty of opportunities for picture-taking. 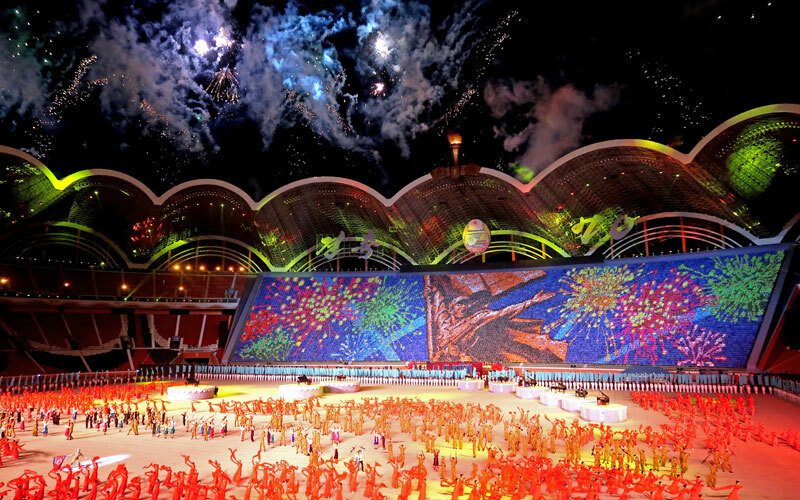 Here’s some of our favourite images, shot by YPT guide Matt, of this incredible event. 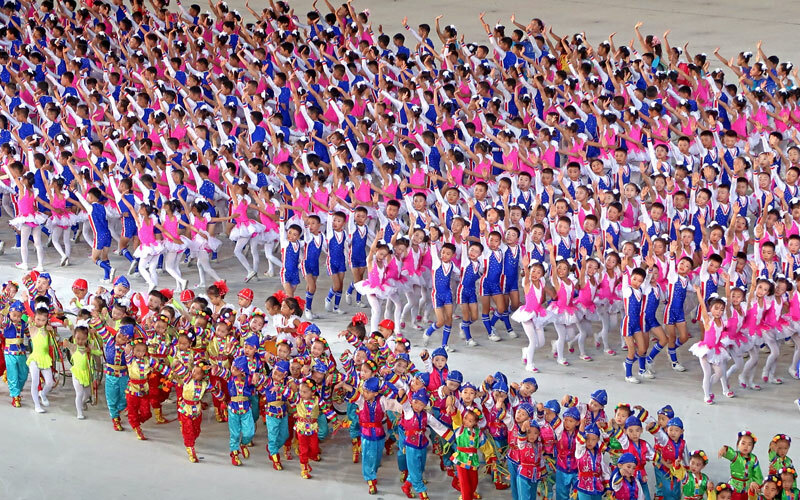 Fingers firmly crossed, the Mass Games will take place again in 2019. 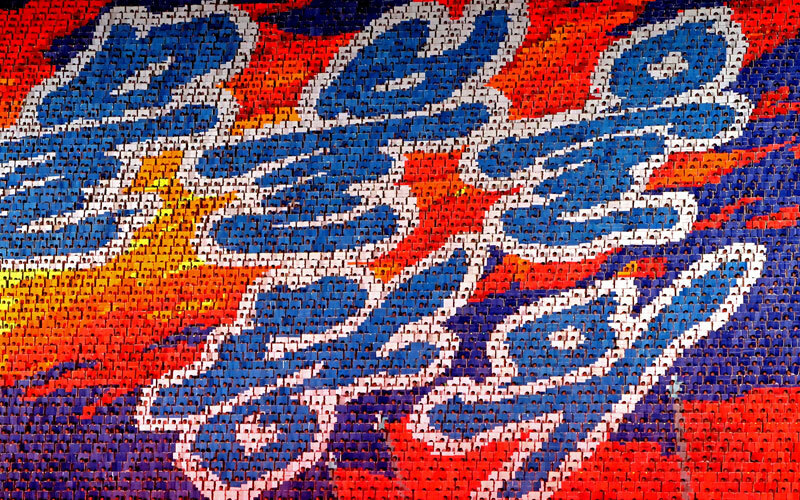 Watch this space and sign up to our newsletter here and we’ll be the first to let you know…. 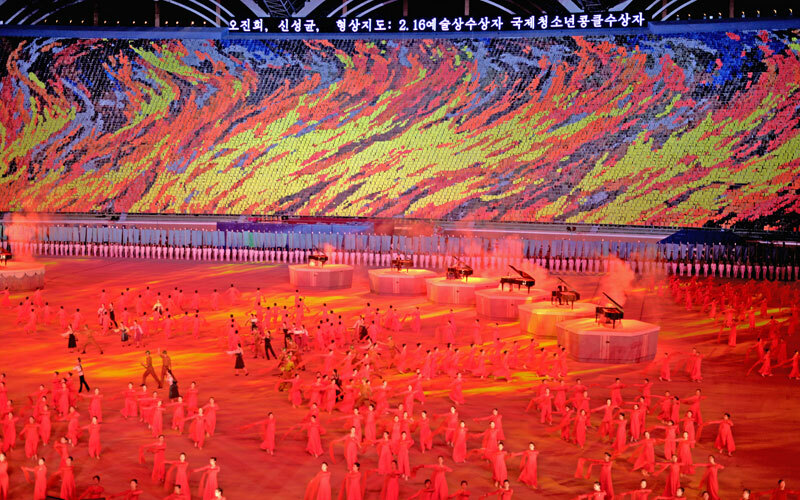 Check out our spectacular photos!